Below are examples of actual installations of the plasma lighting system. Click on the details icon to see the installation, operational and maintenance costs of plasma lighting compared to metal halide and high pressure sodium lighting solutions. 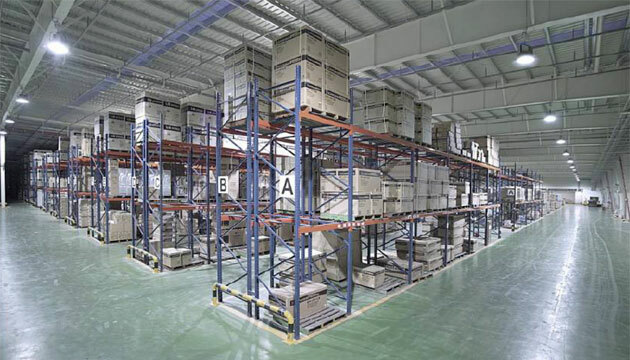 LG undertook the installation of the plasma lighting systems in a new warehouse located in Yangsan, South Korea. The warehouse had dimensions of 515ft x 300ft for a total floor space of 154500sq ft and had a ceiling height of 40ft. The target floor lumination was 250 lux. 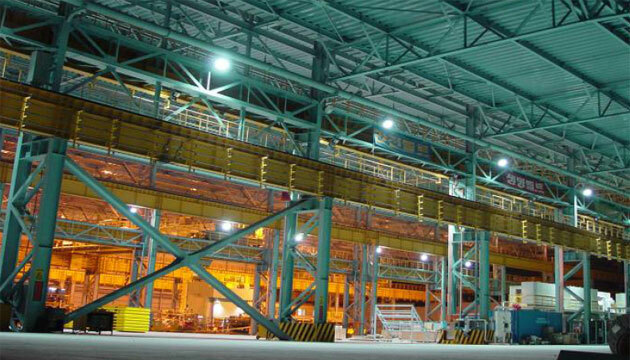 The lighting simulation showed a requirement of 266 units of 400 watt metal halide lamps or 102 units of 700 watt plasma lamps, model PSH0731B to achieve the illumination targets. After doing a site inspection and cost analysis, the decision was made to go with plasma lamps for the superior colors, immense cost savings and even illumination. An ice skating rink had metal halide lamps in their arena and considered plasma lamps as a replacement. The facility had dimensions of 231ft x 148ft for a total floor space of 34188sq ft and had a ceiling height of 30ft. The target floor lumination was 700 lux, necessary for ice skating competitions and public ice skating sessions. The lighting simulation showed a requirement of 44 units of 700 watt plasma lamps, model PSH0731B to achieve the illumination targets. The metal halide lamps have had a substantial operating cost due to the equipment and downtime needed on the ice rink to replace the bulbs and ballasts so the decision to switch to plasma lamps was easy.